“This is about placing control of First Nations education in the hands of First Nations. Nothing less is acceptable,” Chief George Ginnish of Eel Ground First Nation so eloquently said during the grand opening of the community’s new Natoaganeg School. This summer has brought a lot of positive change and growth for two of Canadian Feed The Children’s (CFTC) partners in First Nations communities in New Brunswick. Eel Ground First Nation opened the doors of their highly anticipated new school, and Elsipogtog First Nation successfully applied for CFTC’s 2015 Innovation Fund to significantly expand their garden program. With seven of the ten poorest postal codes in Canada being found in New Brunswick First Nations, these advances have significant impact on the local communities and their children. 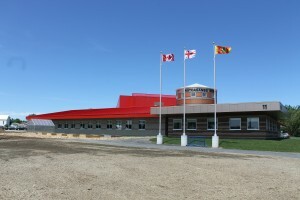 On June 17, 2015 the Eel G round First Nation Chief and Council invited Canadian Feed The Children to the official opening of the new Natoaganeg School. This event marked a new chapter in the dedication of community leadership, that after 40 years this work has finally paid off. The atmosphere at the grand opening was brimming with excitement as community members were introduced to the new school, which will host grades N (nursery) and K-8. When students walk through the doors of their new school in September, they will be welcomed by the gardens that will adorn the entrance and front yard, which is a critical tool in the CFTC nutrition program. Parents will be assured that their children will be in a safe and conducive learning environment. 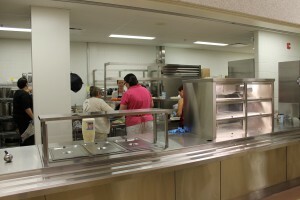 Importantly, students will no longer have to trek through harsh winters to the band hall for their food program, as for the first time the kitchen and cafeteria are located within the school. It was also a great moment of pride for the community to recognize Helen Bernard-Ward, the community’s first First Nations school principal. The Chief honoured CFTC as a partner, acknowledging that the community would not have arrived at this moment without strong partnerships in place. Elsipogtog First Nation also experienced exciting new growth this summer after successfully applying to CFTC’s 2015 Innovation Fund. 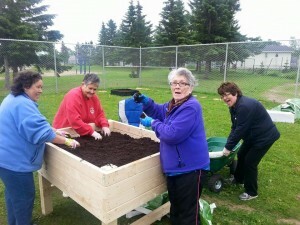 Using these additional funds, Elsipogtog First Nation is expanding their school garden to become a full initiative for all 3,000 community members. A garden coordinator has been hired to provide education sessions, volunteer coordination, maintenance, harvest and garden feast planning with students, school staff, parents, elders and community members. This initiative has already begun to inspire a greater sense of community, with a team of committed elders, students and community members coming together throughout the week to improve and care for the garden. 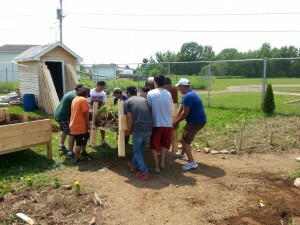 From contributing to the garden composter, to harvesting plants, maintaining the garden and surrounding area, and receiving donations of plants for the garden from neighbours, the school and community garden is helping to bring Elsipogtog First Nation closer together. “The garden becomes a safe space for people to go, because it’s not a classroom with four walls, a ceiling and a floor. It really enables them to connect to their culture,” said Cheyenne Mary, CFTC NB Program Advisor. Through a participatory learning model, the school garden is helping to act as a vehicle for children, their parents, and their community to learn about nutrition and healthy eating, and ultimately to combat hunger and food insecurity.